…whatcha got cookin’? Someone’s cookin’ somethin’ up for me….. This entry was posted in Photography and tagged Abbeville SC, Boiling Water, Family, Health, Home Cooking, Kitchen Fire, Photography, Smoke, South Carolina by Mud. Bookmark the permalink. 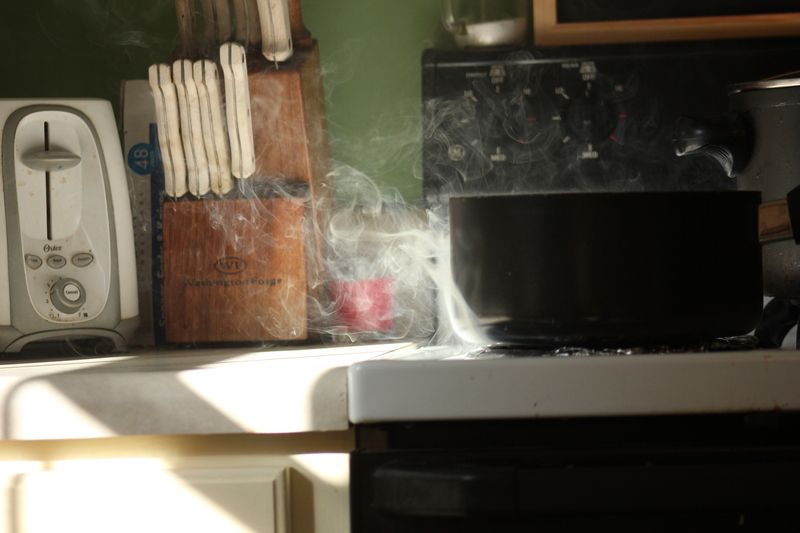 Smoke, strange noises and the word “OOPS” are all too common goings on in our kitchen.